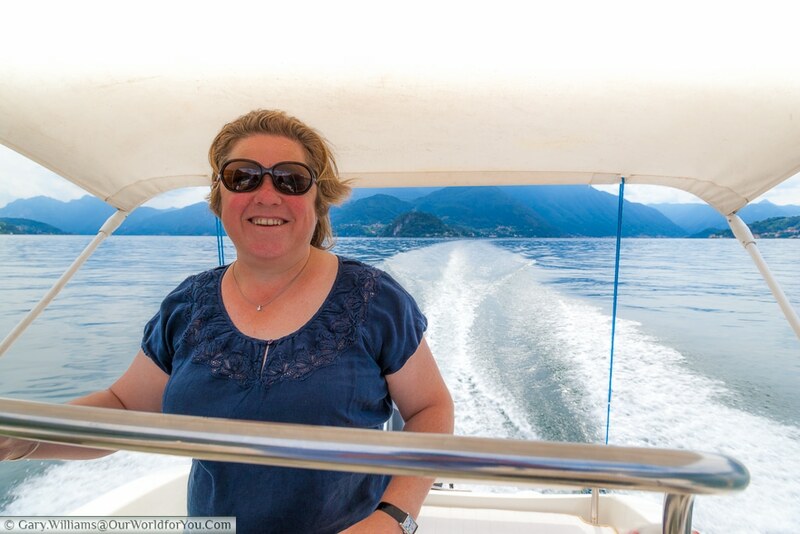 Whilst in Menaggio, as a treat for Gary’s birthday, we had pre-booked to hire a boat for the day through AC Boat Rentals. 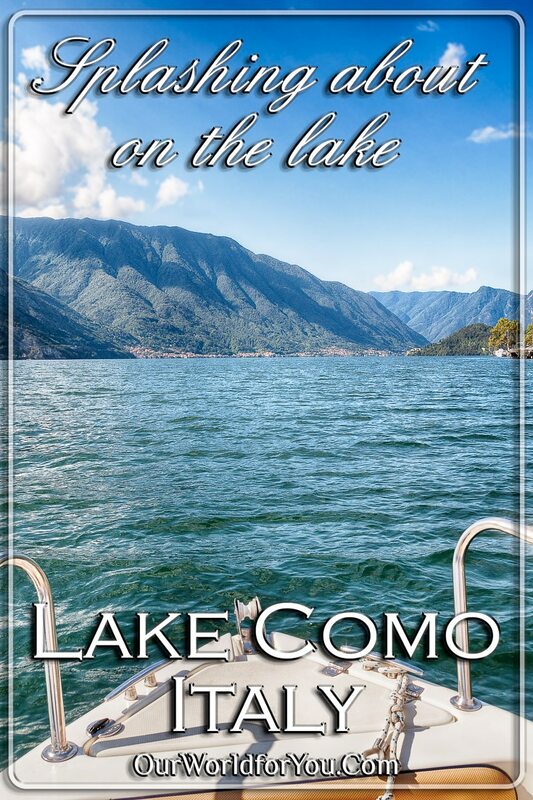 This may not always be the first thing you think of to do around Lake Como, but it was one of the highlights of the road trip and you get a completely different perspective from the water. The boat was available to hire from 1 hour up to 6 hours, we went for the 6-hour option and the time just flew by. You may initially see this as an extravagance, (it was a treat after all), but this boat can take up to 6 people so it doesn’t really work out too bad. The AS 530 Enica was a snazzy little number with a 40hp outboard, which actually felt quite quick when unleashed into our hands. 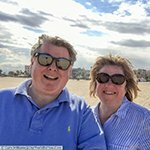 With our shoes removed, sun cream and sun glasses on board, we were ready for the day. 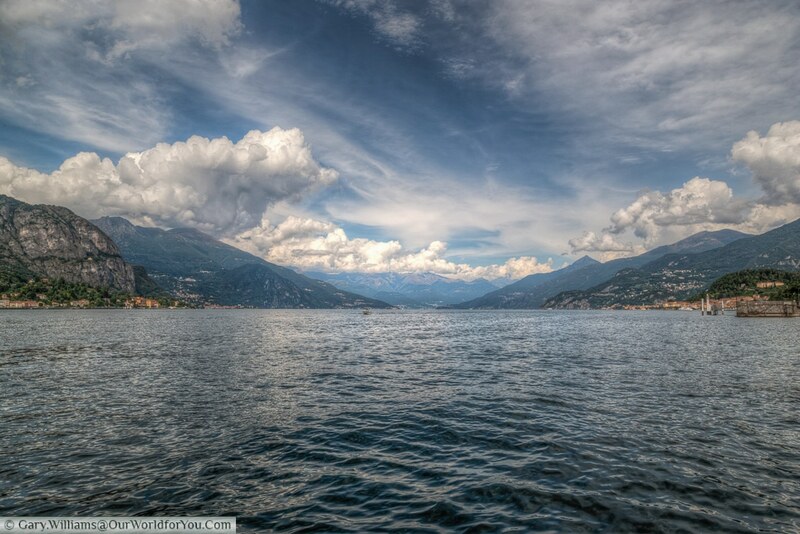 Be mindful that as the weather on the lake can be very changeable at times your boat trip maybe consequently cut short or possibly postponed. We were tracking the weather frequently with our favourite weather tool, Accuweather, (It’s part of our travelling toolkit). For us it wasn’t until the actual morning of picking up the boat that we knew we were going, as the previous evening the roar of thunder and lightening was echoing around the lake. After some simple instructions and with the canopy up as the sun was starting to come out, we set off in the direction of Como. Steady at first, wary of the many ferries that operate on the lake. As confidence picked up, we increased the pace slightly. Although we did amble past some of the more picturesque towns en route. 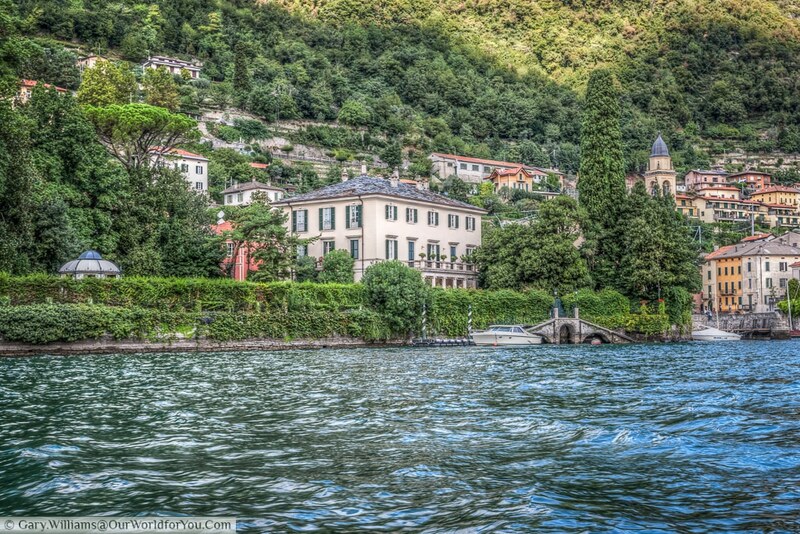 We saw the notable villas, including Mr Branson’s and Mr Clooney’s; afraid there was no sighting of either star. 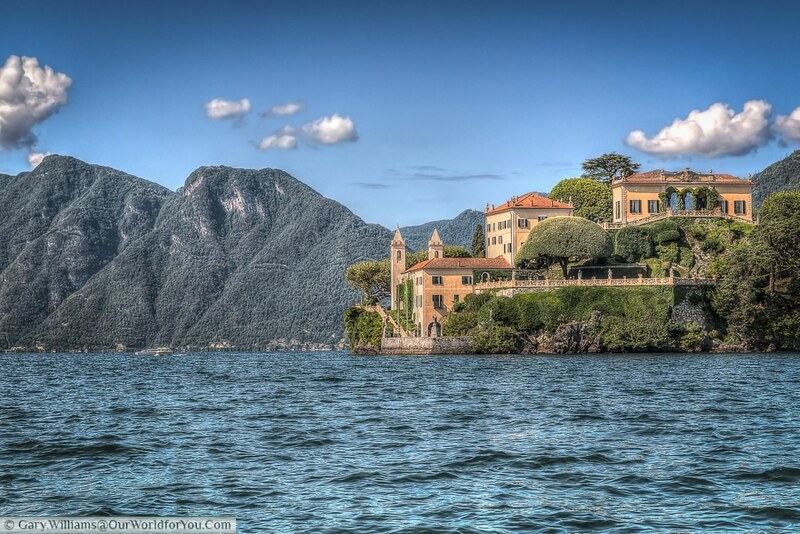 To spot the villas was made easier by the boat company actually giving you notes of the more significant Italian villas. It was amazing how quick the time disappeared, but you can see a considerable amount of the lake in 6 hours. 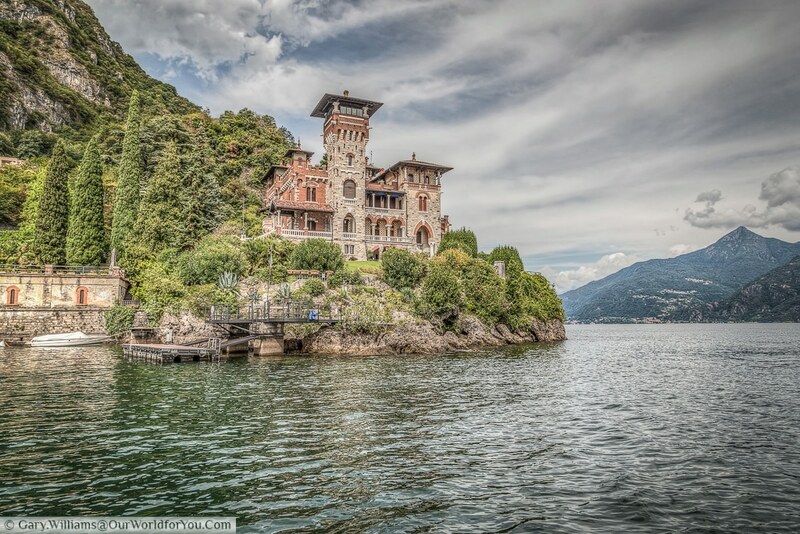 Heading back north from Como on the lake, we moored ourselves just off of a spectacular ‘Villa del Balbianello’, which can be visited by the public, but has also been made famous by James Bond’s Casino Royale and also Star Wars ‘Attack of the Clones’. We popped the cork on a bottle of Prosecco, relaxed and watched the world float by. You can hop off at various jetties around and visit some of the less accessible towns. 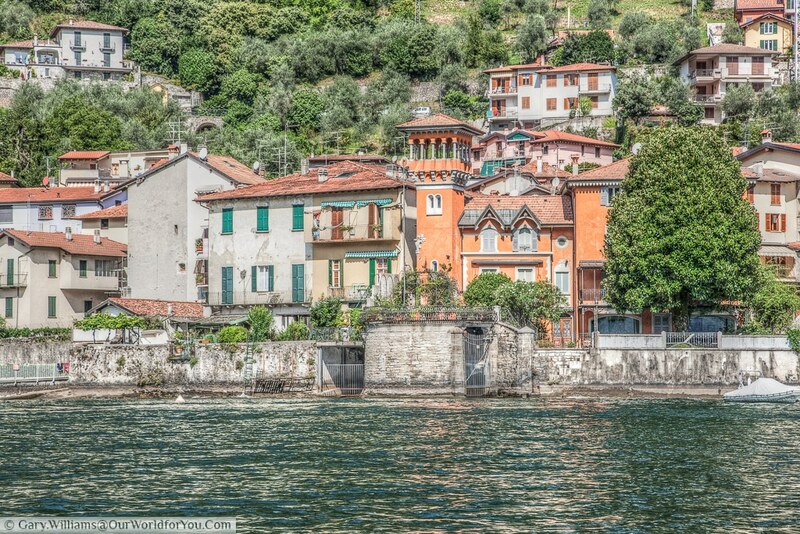 The likes of Bellagio, Tremezzo and Varenna are a short cruise away, however we were having too much fun on board. 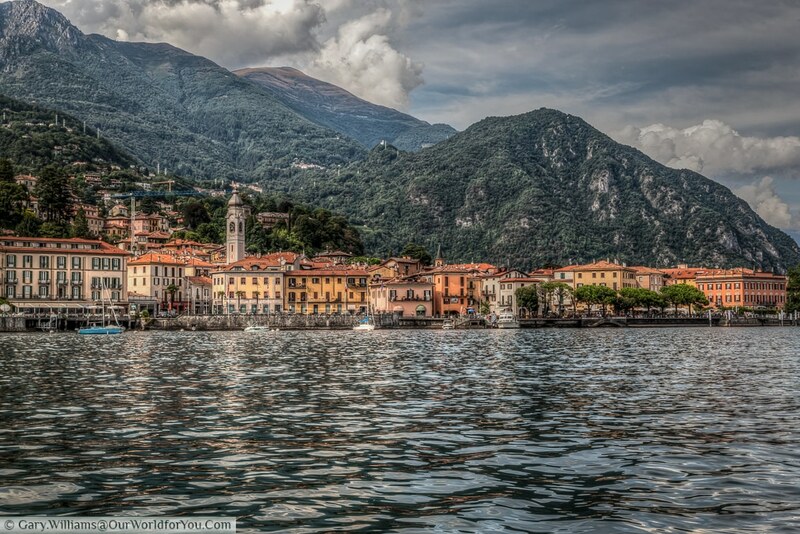 Lake Como really is an Italian gem. 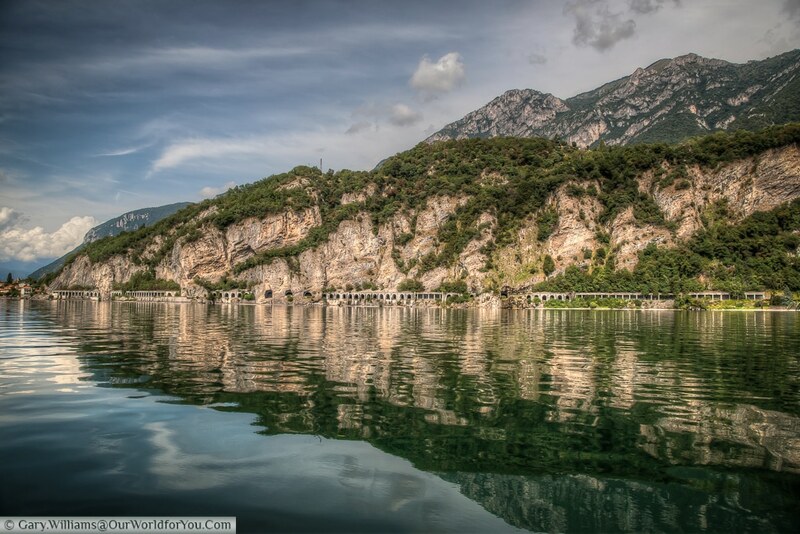 Passing by some of the tunnels carved out of rock face to make the wonderful roads and arches that border this Italian oasis. 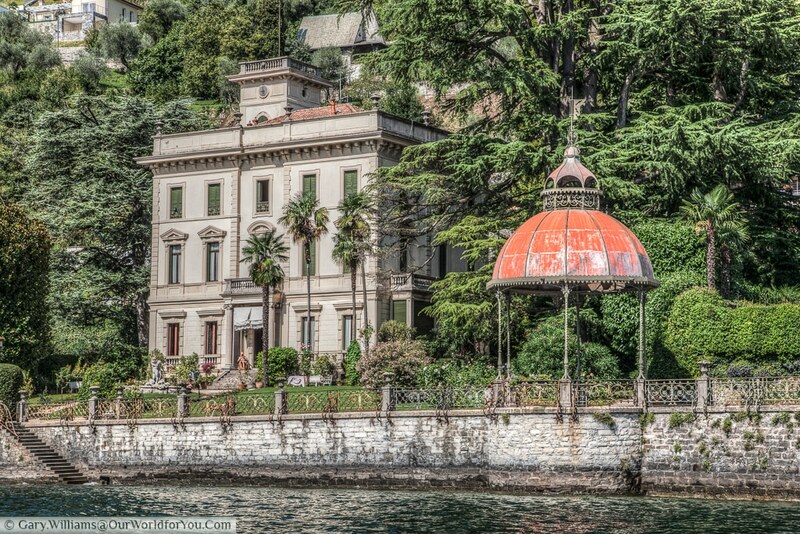 Just slightly north of Menaggio we came across another villa made famous by James Bond in ‘Casino Royale’, Villa Gaeta. If we weren’t feeling like movie stars already cruising around the lake, we certainly got the sensation that we had sailed onto a movie set. 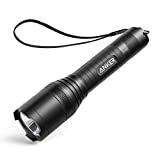 After the 6 hours we reluctantly headed back to the lake front to hand over our trusty companion for the day. The staff at AC Boat were extremely helpful and informative and made the experience even more enjoyable. 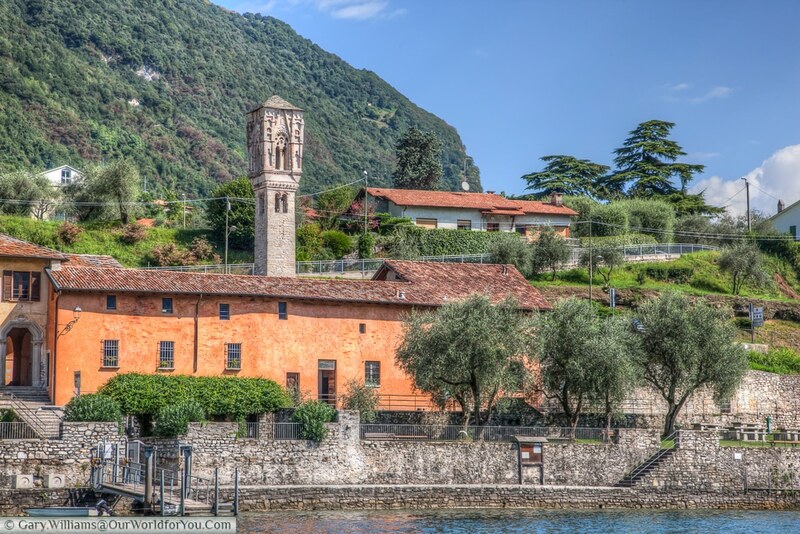 If we are ever around Lake Como again this would definitely be at the top of our ‘to do’ list. 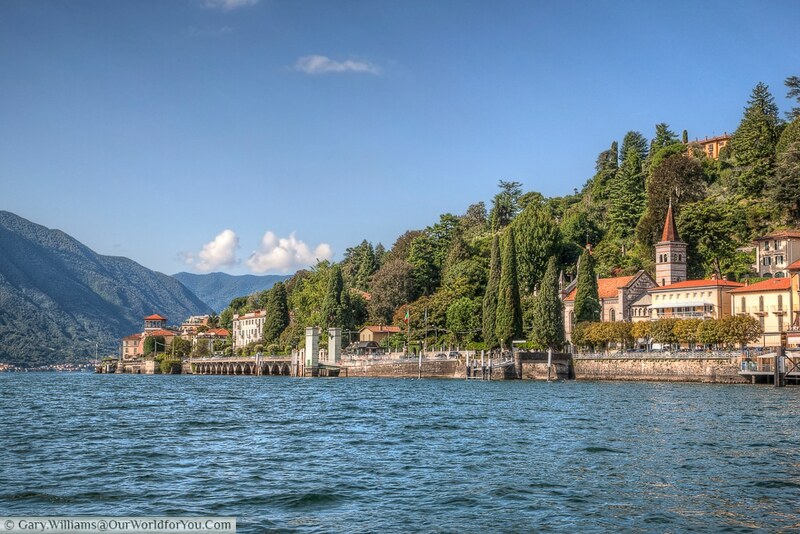 Inspired to visit Lake Como? 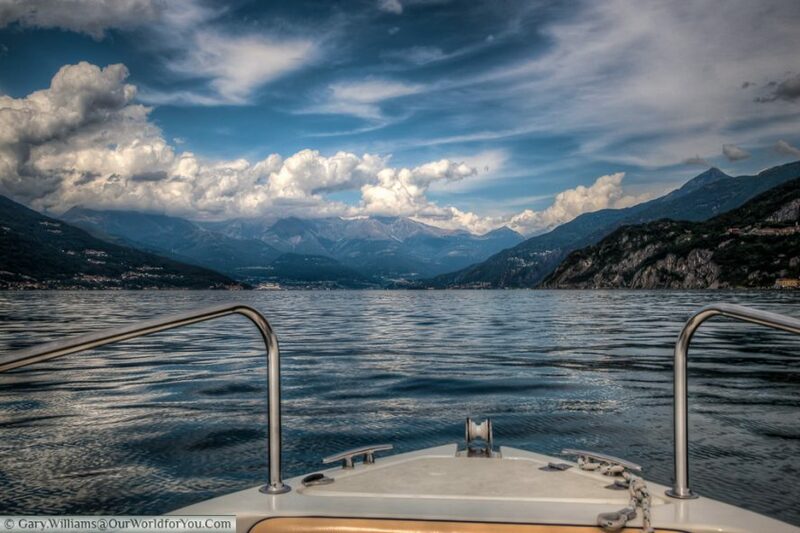 Does the idea of splashing about on the lake tempt you?